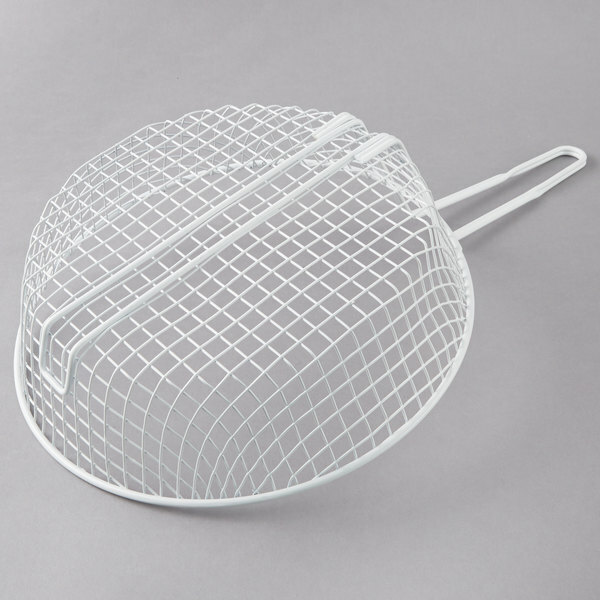 This round, epoxy-coated breading basket eliminates batter and breading from sticking to the basket. It's perfect for battering or breading items like chicken, shrimp, and other similar foods in preparation for frying. 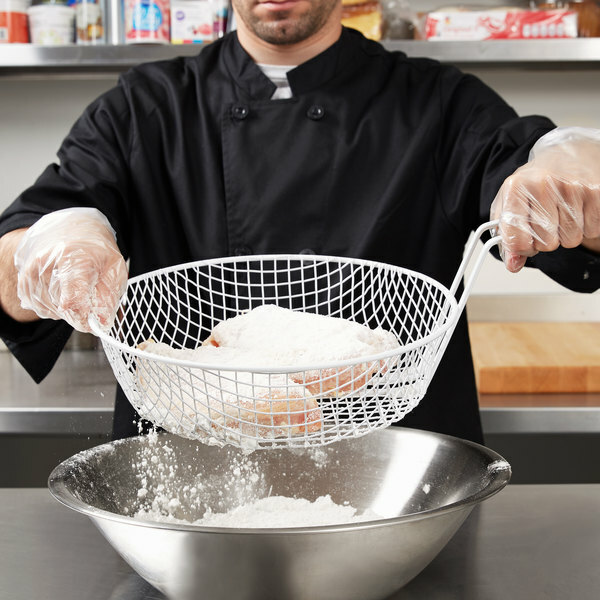 The breading basket is easy to use and easy to clean. This is a great large basket that makes it easier to bread items fast! 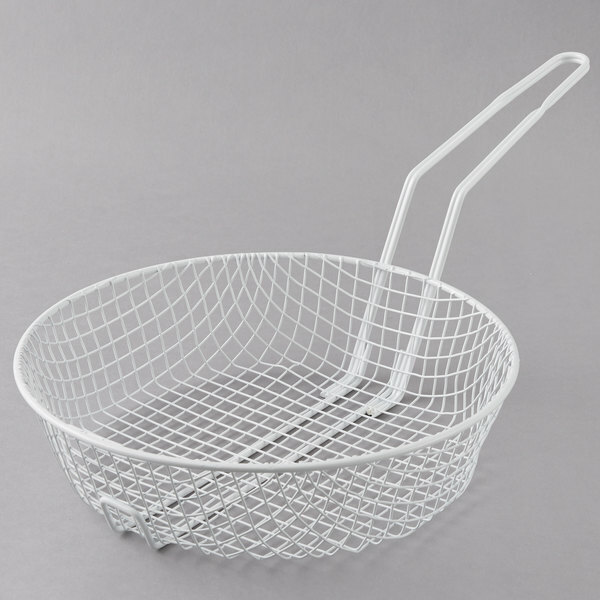 Place basket in a bowl and cover with seasoned flour or breading, toss wet items in and lift entire basket for faster breading!!!! 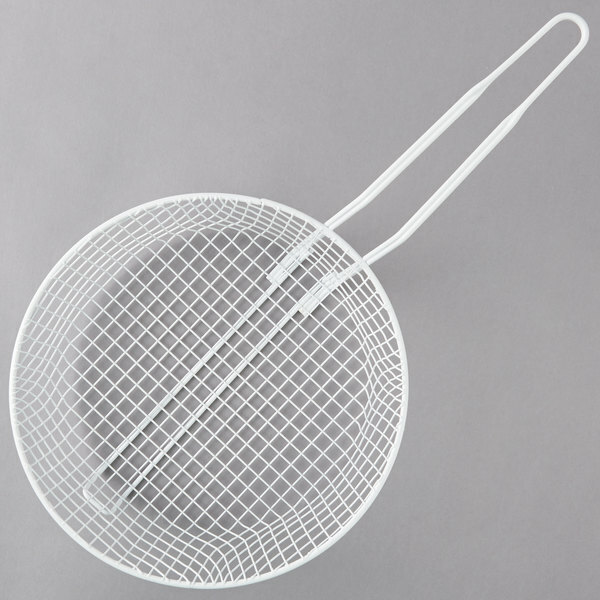 We use this mesh breading basket to bread our fried chicken and our blackened salmon. The white is perfect because it makes it easy to clean. 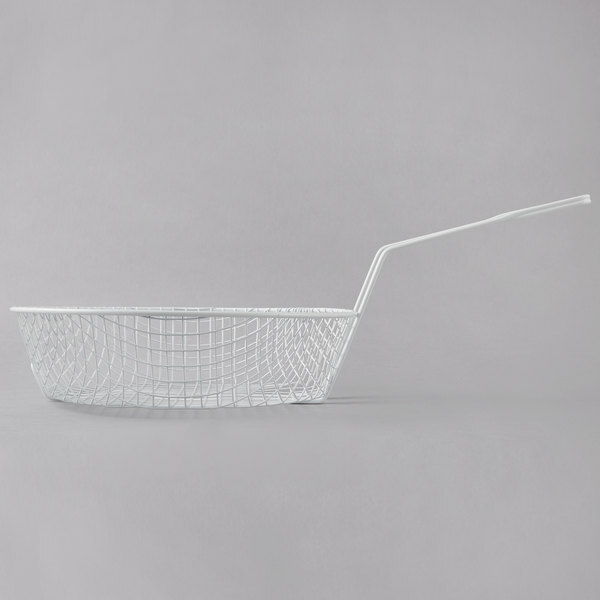 really great battering basket. It's durable, heavy duty, lasts long. You can wash it all the time with hot water and soap the coating doesn't come off. and great price. 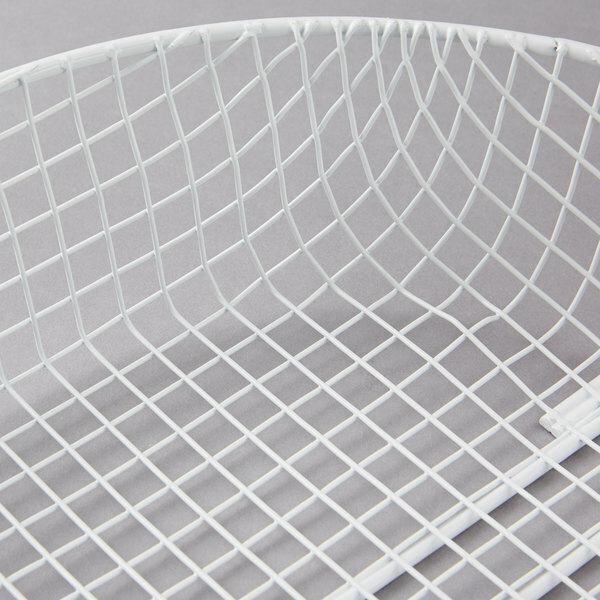 Great coarse mesh breading basket. 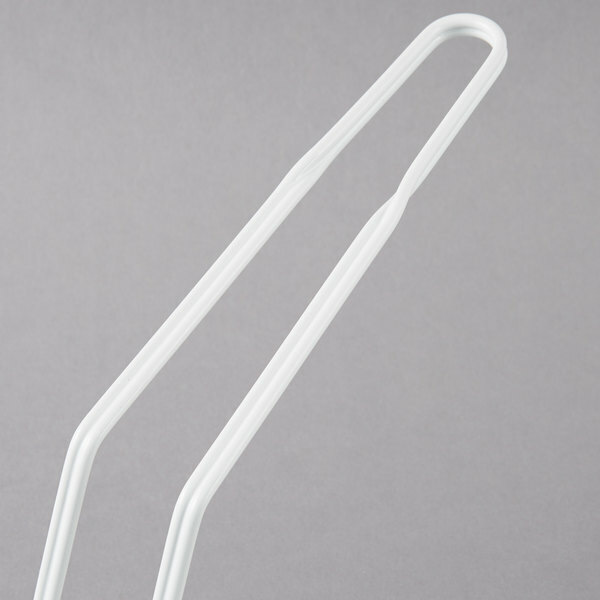 Strong and sturdy handle and long enough to keep hands safely away. Cleans up easy and has held up well. Great battering basket. It's durable, heavy duty, lasts long. You can wash it all the time with hot water and soap the coating doesn't come off. Great price! This basket has helped me out greatly when breading smaller items. Just bread them and put in the basket to shake off the excess. It's a great tool for the kitchen. 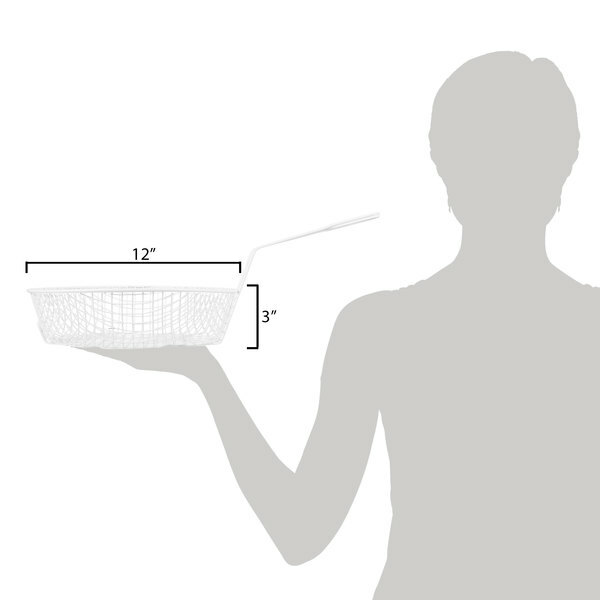 This twelve inch coarse mesh breading basket is great for breaded shrimp and scallops. It fits the perfect amount and lets them be in one layer for an even fry.